An anonymous tipster told me that shorts will start to be mailed out on the 20th and they're coming with a little booklet. This is a photo of the first page of the booklet. Thank you, Anon! Oooo, Exciting! I'm liking the colors. Is this a hint that the shorts may be polka dotted? How long is your half marathon training plan? I'd love to know if you're willing to share. @ anon 8:51 am - 12 weeks. I use the Hal Higdon Half Plans. I've used this for ten halfs now. I'm still stuck on the Novice 1 plan because I can't do too much more than three days a week without breaking down by race time. When I am not fighting an injury I do a little speed work on my midweek run days. Right now, I am still building up mileage because I injured myself back in January, though I've been having problems since last July when I got sesmoiditis. Thank you for sharing! I signed up for Seawheeze as my first half, then found out I was pregnant, I just had a miscarriage this weekend. I gave up on running it because I was going to be 6 months pregnant, but I'm thinking I might go ahead and try to do it. 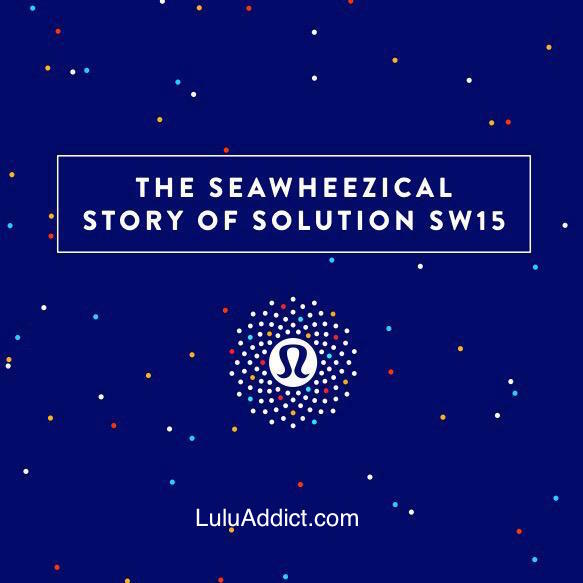 I'll be running SeaWheeze this year! The pattern seems very similar to the 1st year of SeaWheeze - the cream color with colorful polka dots. @ anon 9:19 am - So sorry on your miscarriage. You still have a lot of time to train so I say go for it. It's a really fun event and weekend. Hugs to you, anon @ 9:19. Anon 9:19, so so sorry! Go for it! I don't know how to put it but I think it could be very empowering. Peace.